Another experiment successfully concluded! This one was a combined effort of two neighbors: chef Julian Baker of Le Zoo, and Anthony Micari of Makoto, both of which you can find in the Bal Harbour Shops. Both chefs are also Cobaya alumni of a sort: Baker hosted Cobaya Experiment #40 while at Toscana Divino, and Makoto Okuwa cooked for us at Makoto for Experiment #32. 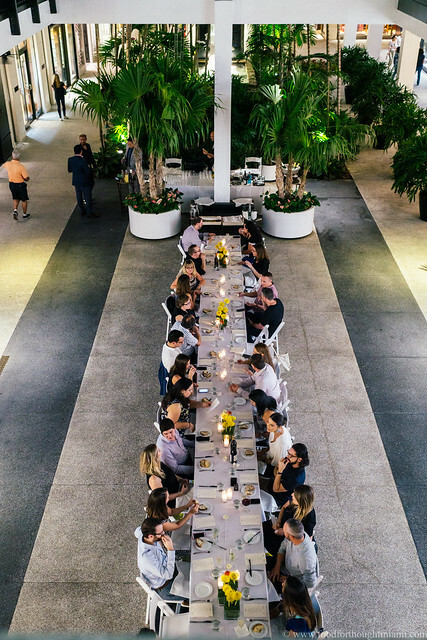 A big thank you to chefs Julian Baker and Anthony Micari, to their entire crews at Le Zoo and Makoto, to the folks at Bal Harbour Shops for giving us such a unique venue, and as always most of all, to the guinea pigs whose interest and support make these events possible.